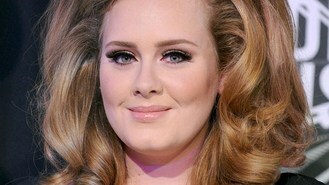 The Rolling In The Deep singer has deposed Coldplay from the top of the charts when it comes to nodding off. The band were number one for the firm's previous surveys in 2008 and 2010, but were pushed into second spot this time. Dreamy chart hunks One Direction - whose debut album was called, ironically, Up All Night - were in fifth position. Sleep expert Stevie Williams from the Edinburgh Sleep Centre said: "Results from various sleep studies undertaken with a variety of male and female groups, has indicated that listening to soft, relaxing music at bedtime leads to a number of different benefits to a night's sleep." Travelodge spokeswoman Shakila Ahmed said: "After a long stressful day it's essential that you de-stress to aid sleep and listening to music will help focus your attention and assist your body and mind to relax."